Drive avocado sales by following our recommendations for spreading avocado love in retail. Creating best practices from strategy through evaluation, we work closely with our retail customers in developing what works for them and their shoppers. From captivating P-O-P materials, utilizing category management tools and current consumer research along with a variety of proven retail marketing programs (from social contests to events), let us help you make a mark with your shoppers! 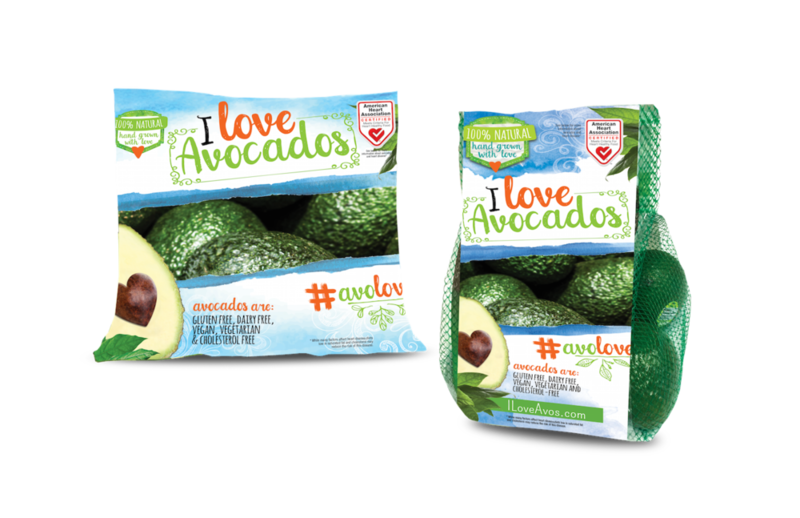 Add excitement and a burst of color to your produce department with I Love Avocados Merchandising programs and convenient pack configurations. I love Avocados™ is pleased to announce that the brand has earned the American Heart Association’s coveted Heart-Check mark designation, a certification to meet strict dietary criteria for heart-healthy foods. The requirements for certification are based on the sound science of the American Heart Association regarding healthy dietary recommendations including food categories, specific product ingredients and nutrient values. For more information, please visit here. At I love Avocados™ we are building a community of avocado lovers, spreading green goodness year 'round! Daily, we share delicious avocado-inspired content on our social channel while partnering with some of the food industries most renowned influencers online for tasty & delicious content creations that audiences love to see! Click the button below to feel the avocado love on Instagram & share your avocado plates using the hashtag #ILoveAvos. Want to partner with our avocado team? Contact us, here.